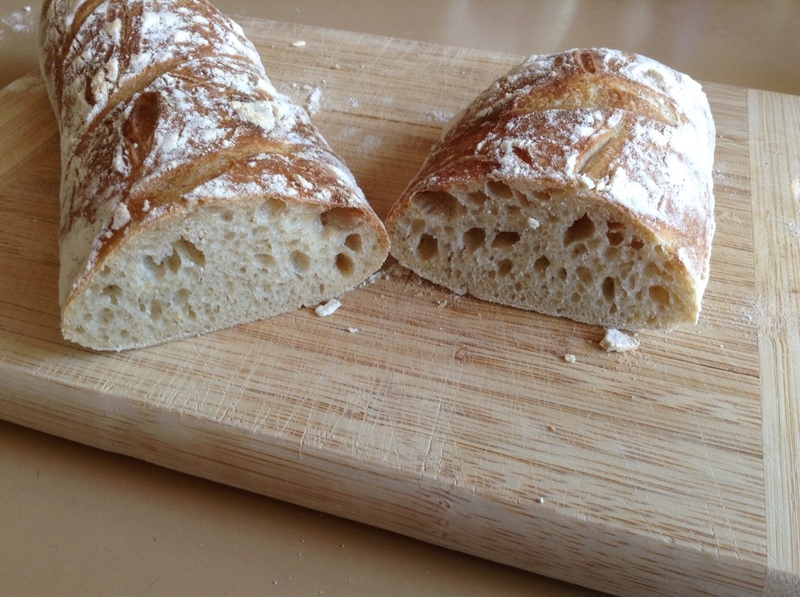 Today I tried a sourdough baguette recipe from The Fresh Loaf. 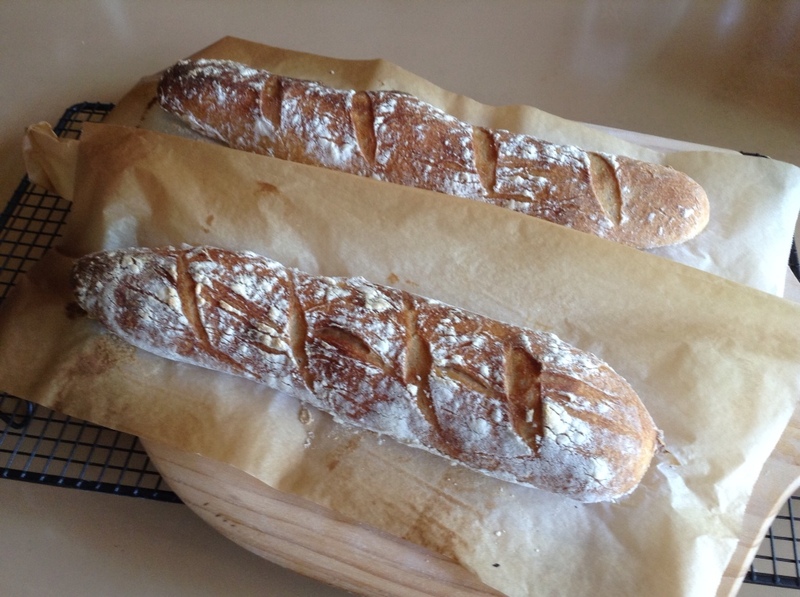 I modified the recipe slightly to suit my scales, which can only measure to the nearest 5g, and made only two baguettes from half the dough. I put the rest of the dough back in the refrigerator for another day. The baguettes taste great. I almost ate a whole one for lunch. 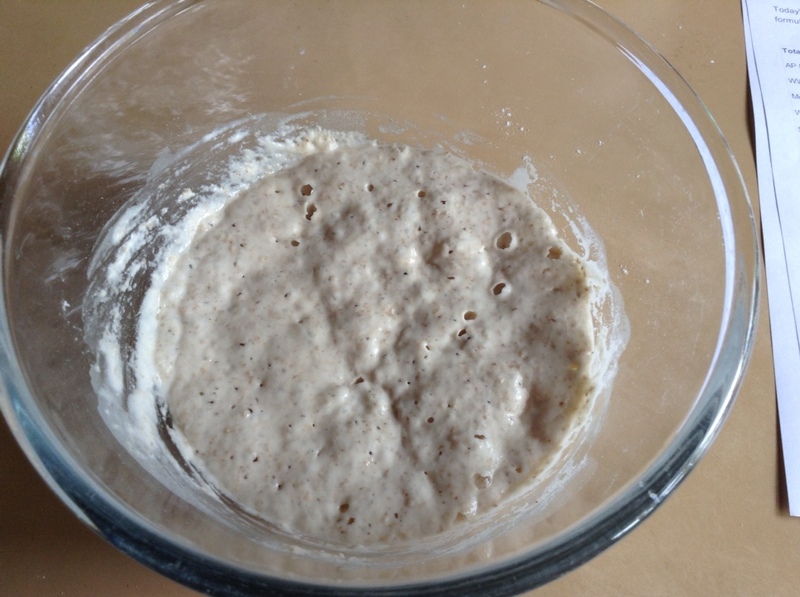 Nice bubbly sponge (or poolish or starter). 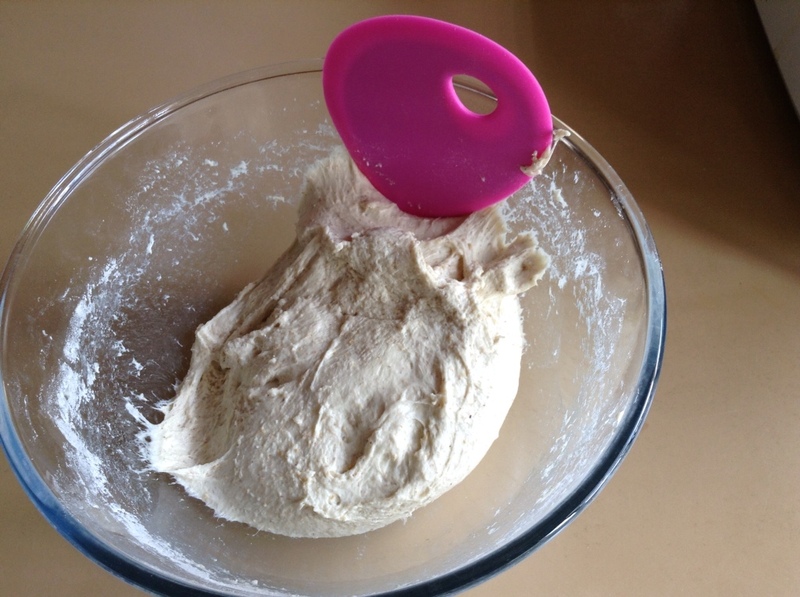 Kneading the dough in the basin. 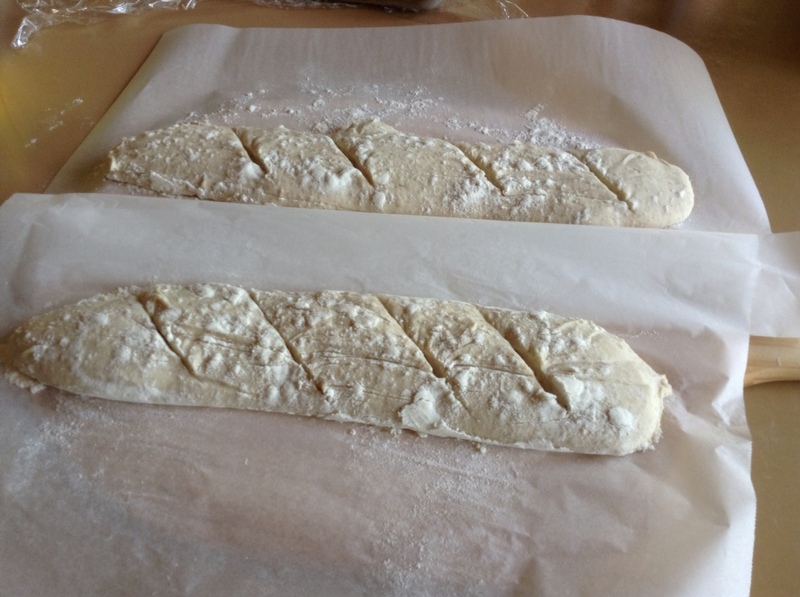 Two baguettes ready for the oven.